Yes hello I never actually did this on the old fourms but I guess I should now. My faviorite hat is the pilgrim hat. I think I've been playing since late September or early October. Faviorite holiday in the game is thanksgiving. So again hello and I love this new forums. Hi! You have probably seen me running around ingame, doing things :P (well duh) and i am pretty glad we upgraded the forums.. So um... Why Am i still here!? Hello everyone :) Welcome to the new awesome forums! And you know what's the best thing? Your forum accounts have the same names as your characters! Hey! I like the connection now between the ign and the forum, great job! Nice to see a change in looks and details in this Forum! Hi, mi name is The 007 but you can call me 7, most of my friends do. My realm is named: 007 and I love warp food. I really love the new forums, it looks so nice! Hello, It's me! A old player but new to this forums. Hi, feel free to add me in game if you need anything! Hello I'm =MGN=Gleen and people just call me Gleen. I joined the old forum not long before the new forum release. Hello Gleen! Glad to see you here! Hey All, glad to see such a amazing change of the new forums for such a great community. For those of you who don't know already - My main realm (Where you can normally find me in-game) = CubeSensei's Dojo , I am a moderator for cubic castles, if you ever need help with anything just send me a message or use my facebook here = https://www.facebook.com/people/CubeSensei-YT/100010031085431 or my Twitter here = https://twitter.com/CubeSensei , I cannot guarantee I will solve all problems but I will certainly try too! More information about me (This can all be found in my office at the Cubic Moderation Offices): I am from the UK and I have a passion for Japanese Designs, I am online generally everyday except Friday [BST Time], I am a Microbiology Student studying at University and like to play games online and watching Sci-Fi/Superhereo Films. Hey Cube! Welcome to this new forums! My name is Perfct, as you can probably see. I am a small level 50, usually seen in populated realms or doing parkor (or at my farm). I've played for a while, I began a few months after the beta launch (I believe, not 100% sure). I love people, so I'm always happy to chat or do something fun! Just send me a forums PM or add me IG. Loving the new forums, thank you Cosmic Cow! Hope to see some of you around! 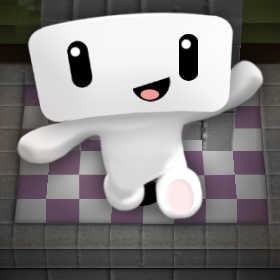 Hello Everyone, I'm Itward Ive Been Playing Cubic Castles for awhile. If you want, Send A Friend Request to Itward, God of Reality!! !